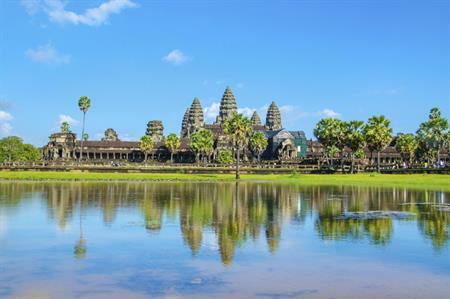 Colt Technology has chosen agency ACA Live to work on its spring employee recognition trips to Miami and Vietnam and Cambodia. The first trip – to Vietnam and Cambodia – will take place in March, with 50 supporting staff and their partners invited to take part. In April, the technology firm will fly 31 sales staff to Miami with their partners, for a recognition incentive. Jason Sullivan, employee engagement & recognition manager at Colt Technology Services, said the firm had previously worked with ACA Live and been impressed with the agency’s delivery. "Our top 50 performers will be travelling to Cambodia and Vietnam in March where they will enjoy the impressive culture and history within the Angkor region, before taking a private charter flight to Da Nang to relax on the beach. The group will be supporting a local school in Siem Reap, Cambodia through a CSR activity to renovate classrooms. The school receives little outside help or funding." During the Miami trip, he said guests would experience five star luxury. The group will also be creating a volleyball court and garden areas for a local charity that supports disadvantaged children. "We are working with ACA Live to deliver both events. They have a strong knowledge of Colt and our culture, particularly how we support the local destinations we visit through CSR activities, and have delivered seamless events for us for the past three years."